From the vows to the rings, the path to marriage is paved in tradition. Today’s couples are discovering ways to include a new tradition of charitable giving in their nuptials. Set up your very own charitable gift “registry” for any wedding festivity the wedding itself, engagement parties, or bridal showers. 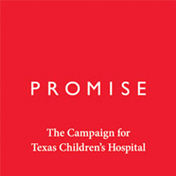 Ask family and friends to donate to Texas Children’s in honor of your wedding.